The “platina” bridge. Photo from files. Q COSTA RICA – Blaming Hurricane Otto as the main reason for the delays, the Minister of Transport, Carlos Villalta, promised the “platina’ bridge will be complete by April 30. The original delivery date was February 28, 2017, later postponed to March 15. The minister, during a press conference Thursday, assured the six lane bridge over the Virilla river on the autopista General Cañas will be completed and open to all traffic by the end of April, even though some ‘small’ work will continue, work that is not expected to affect traffic. At the beginning of last year, in an impromptu news conference, wearing a hard hat, Costa Rica President Luis Guillermo Solis assured the country that the bridge work would be completed by his administration, something that the two previous administrations had failed to do, and within a year. The President, in a very emotional talk, pointed his finger at his minister, saying “it is your responsibility to get it done and on time”. 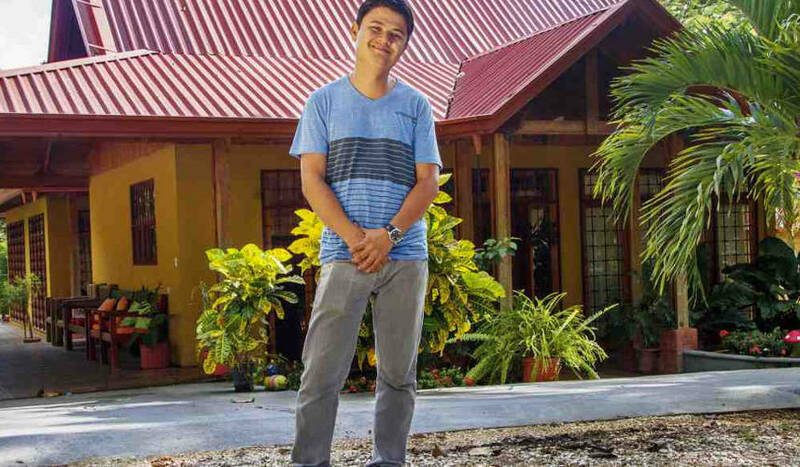 Late last year, Miniter Villalta reassured everyone that the bridge would be ready on time, by the end of February, or he would quit. For most, though no one was surprised at the Thursday afternoon announcement, it means more than two months of the “calvario”, the Spanish term which can be interpreted as a “siege”. Two more months of tremendous traffic congestion in most areas of the greater metropolitan area. 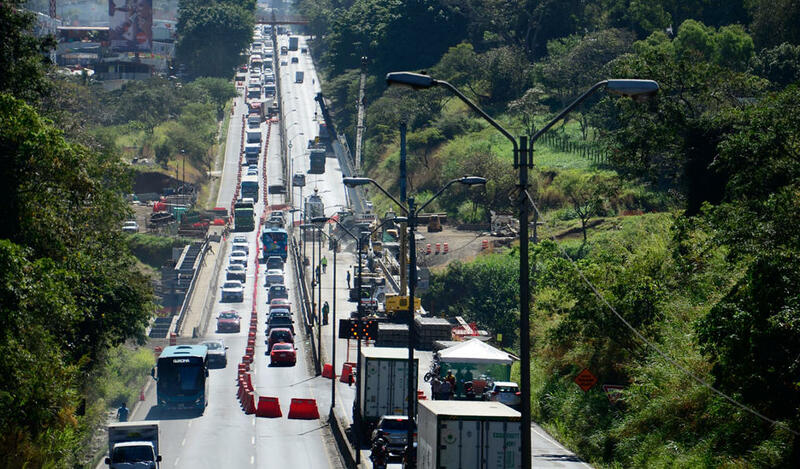 It was December when the Ministerio de Obras Públicas y Transportes (MOPT) announced the complete closure of the Alajuela – San Jose lanes, keeping open only the two lanes for San Jose – Alajuela bound traffic. That quickly changed. The two open lanes were reduced to one in each direction and a restriction was placed on what vehicles could cross the bridge during peak hours: 6:00am and 9:00am and 4:00pm and 7:00pm, from Monday to Friday. During the restricted times only public transport (buses, taxi and tourism) and emergency vehicles were allowed to cross the bridge. All other vehicles were detoured onto alternate routes. During the restricted hours, traffic from Alajuela was detoured at the EPA store at Cariari, from San Jose at the Juan Pablo II bridge in La Uruca. A few weeks ago, Transport offiicals allowed motorcycles to cross the bridge during the restrictions. As of today, Friday, restrictions have been loosened further and for the first time, light trucks can now cross the bridge during the restricted hours. In addition, passenger vehicles according to the last number of their license plate – will be allowed to circulate during the restricted hours. The plan is permit passenger vehicles only on the day after their vehicular restriction day. For clarity, passenger vehicles with license plates ending in 7 & 8 (that have vehicular restrictions on Thursdays) can cross the bridge on Fridays; vehicles with plates ending in 9 & 0 on Mondays; 1 & 2 on Tuesdays; 3 & 4 on Wednesdays; and 5 & 6 on Thursdays. Seems complicated, but I am sure by April 30 everyone will have gotten the hang of it.